It was Mitt Romney who famously stated that “corporations are people too.” I’m not debating that premise- but if there’s a case to be made against vilifying corporations- then perhaps it’s time to also make a case that governments are people too. The fact is that the work force of Big Bad Government happens to be populated by your neighbors, by good people, by folks we used to consider heroes in this society. There are many stereotypes about government workers. Yes, some folks, like the clueless individuals at the General Services Administration who partied down in Vegas on the taxpayer dime did a great disservice to both their country and the image of government workers. But government workers are also the people teaching your children. They are the paramedics who come to your home when you’re suffering a heart attack. They’re the brave firefighters who risk their lives to enter a burning building. They’re the cops trying to keep your street safe. They’re the air traffic controllers who make sure your plane lands safely. They’re the nice lady at the Social Security office who just fixed the problem with your mom’s check. They’re the good folks at the Federal Emergency Management Agency who scramble to cities and towns across America when a tornado or a flood or a hurricane devastates communities. They’re the National Weather Service and the National Oceanic and Atmospheric Administration that not only warn you when a blizzard or a tornado are coming-they’re the guys who actually fly into the eye of the hurricane to get the latest readings so they can figure which way the monster storm is moving. Oh, yeah. 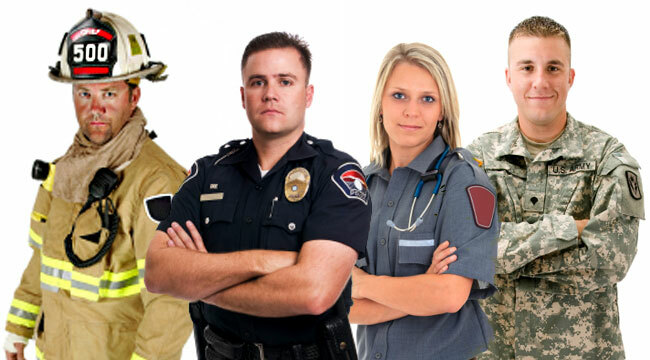 Technically, the members of our armed forces are also paid by the federal government. All they give us are their very lives and limbs in defense of our interests and our freedom in every godforsaken corner of the planet. But they are our friends and neighbors. And they help keep America running, safe, and when catastrophe strikes- they help us heal and rebuild. They are, largely, the most unappreciated people in the nation right now. And I don’t get it, because for most of our history, haven’t we looked up to, not down on- folks like teachers, firefighters and cops? In the end, they provide the services that those who instinctively criticize government would scream bloody murder about, if those services were ever to be taken away from them.